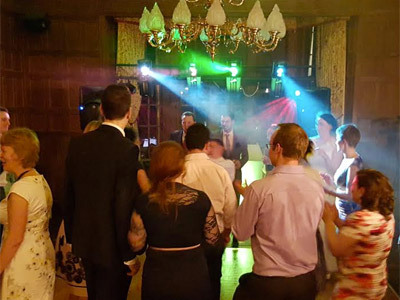 "Mobile Party DJ And Disco"
Playing everyone's favourite party and disco tunes, to help make you and your guests want to get up onto the dance floor, singing and dancing along to the music. Teens and twenties, playing the very latest hits from the charts mixed in with both classic and current club, RnB and pop anthems. Mixed age, playing everyone's favourite party tunes - rock, pop, RnB, disco, Motown and more. We know the tunes to get both the youngsters and grandma on the dance floor. Themed partues - 60s, 70s, 80s and 90s, disco, Motown, rock, beach, hallowe'en, Christmas - whatever the theme of your party, we can accommodate with a selection of appropriate party tunes. Choose our karaoke party and sing along to your favourite songs. Required by many venues, Sound Entertainment has a current PLI policy with National Association of Disc Jockeys in the amount of £10 million. Also required by many venues, Sound Entertainment has supplied satisfactory evidence of holding current PAT inspections of their equipment dated within the last 12 months. A Method Statement outlining Sound Entertainment&apos;s Health & Safety procedure for setting up disco equipment has been provided. Sound Entertainment has provided Risk Assessments undertaken at events sourced via needadisco.com, indicating that they can undertake these competently. Why do people choose to book Sound Entertainment? Seemed to offer best value for money around the amount I was budgeting for. Good website with all the information needed. Plus the quote and the equipment used is really reasonable. "I couldn’t be more positive (and have had lots of guests commenting on “how good the disco was”). James got it absolutely right – “read the do” (a 70th) splendidly. The “extras” like the video tracks were an unexpected bonus, but everything was great, great, great. I'd recommend him to anyone." "James was great both before and during the event. General comments after the party from friends and family were how good of an evening it was and we thank James for his contribution towards that. We would have absolutely no hesitatations about using James in the future." "James was great, really friendly and played to our party's taste to get everyone involved. Would definitely use James again!" "Easy to deal with, reasonably priced and bonus of video screen included. James was polite, well presented and we had great feedback on the night. He was familiar with the venue and was happy to accept card payments which made my life so much easier! Will definitely use James again. Karen & Dean"
"He was amazing. Was able to accommodate my music list, even though he only received it on the day. Played some of my own music that I'd written myself (as requested on the day). Was able to accommodate additional music too from phone when I provided him with the necessary. The kids really loved the games, and he was able to setup quite happily around their messing around. Great guy would definitely recommend him to others and use him again myself." "James was excellent. Feedback from guests was that the music was excellent. Fully recommend." 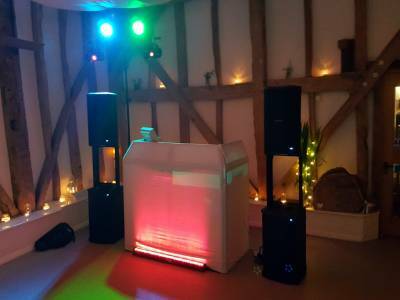 "James was a brilliant DJ for our wedding, he came in set up done a brilliant disco and packed away with no issues would highly recommend "
"Heartily recommend James. The proof of a great DJ is that the dance floor at our party was full with happy and dancing peple all evening!" "James did a brilliant show played all the music we liked and had everyone dancing from beginning to end. I couldn't recommend James high enough to anyone who is thinking of booking a disco. Will definitely be using James again for any future parties. Thank you James for helping make my 50th party a night to remember." "Great choice of music, prompt set up, perfect lighting. Had quite a few friends comment favourably. Would definitely recommend. Many thanks James"
"James was really good and worked our crowd well. It was a small business event and was a mix of karaoke and music. Everybody loved it. He was really good value and excellent to work with. Would definitely recommend and would be happy to use him again if ever I am back in the area. He did everything I/we asked for." 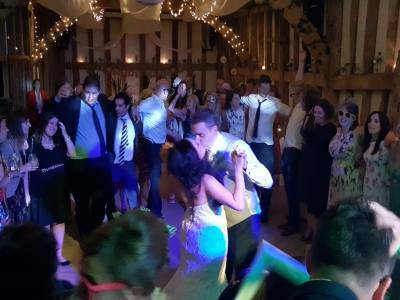 "James was a fantastic DJ; he arrived on time and set up ahead of our agreed time which was fantastic. I provided a specific play list that I wanted ahead of my party and he was able to accommodate my very eclectic taste in music. 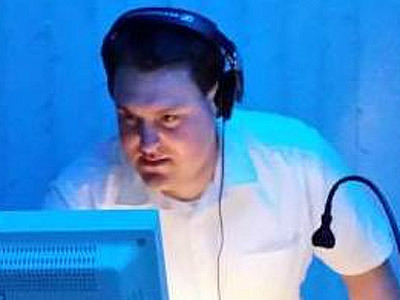 I will definitely be using James the next time we have a party and wouldn;t hesitate recommending him to friends or to others on this website looking for a DJ in the area." Sound Entertainment also offers a range of additional party services not directly linked to musical entertainment. Please note that needadisco.com has no editorial control over these images which are stored on flickr.com. If you have any concerns about what you see below, for example potential copyright infringement or unsuitable content, you should take this up with Sound Entertainment directly using the Contact section below, or else you may alert flickr.com directly quoting "set number 72157641633593193". If you are contacting Sound Entertainment about an event, it's always a good idea to include the DATE, LOCATION, EVENT TYPE, AGE GROUP and TIMINGS to speed things up!